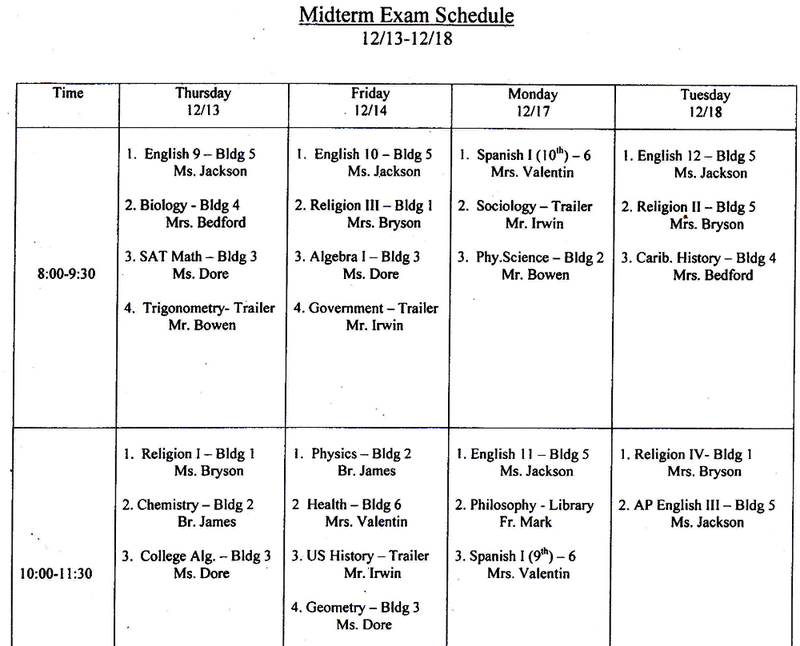 Midterm exams will begin on Thursday December 13th and run through Tuesday December 18th. Students will only be required to come to school for their scheduled exams. There will be no bus service in the afternoon, so student pick up will have to be arranged. For any questions or concerns contact the office. Please see the schedule below.